Fresh off a huge win at the $250,000 National Championship, we plan on having a huge EPT presence at Borgata Hotel & Casino on October 26 - 29, 2018. There will be over $100,000 in guaranteed payouts and we plan on crushing that guarantee with all your help!! So now on top of (12) $10,000 Player of the Months, a $30,000 Finals local championship, you can qualify to participate in the Bar Poker Open's $300,000 in annual championships! There are multiple ways to get invited, win a paid seat, and even win a full travel vacation to Las Vegas!! 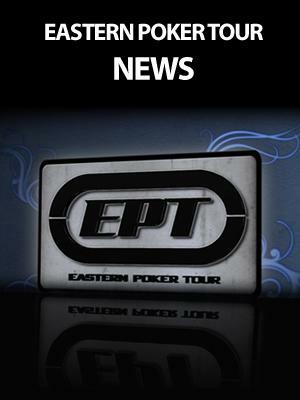 The only way to do it locally, is through all Eastern Poker Tour events! Top ranked players from Eastern Poker Tour from April 30 - Sept 30 are all invited based on a super league rankings formula and how many events we host to play in the December East Coast Championship! We are projected about 289 EPT that will be invited to participate. That means a whole bunch of EPT players should be in Atlantic City with us! An invite does not mean it's free, but the cost of the buy-in and entry is only $180 to play in a $100,000 Championship. See our Bar Poker Open super league ranking here. EPT is also inviting our current top 10% as of October 1, 2018. This means if you are above the line and qualify for the Points Championship by October 1, you are also invited to play in the Bar Poker Open $100,000 for only $185. There will be a lot of the same people as the super league ranking but it will also allow for more EPT players to plan on joining us in October! Win a Seat IN TWO STEPS with EPT and Bar Poker Open! Every night, our top 3 players, wins a token to play in a weekly online tournament. By winning that token, you can participate in any Sunday Step 2 Online Qualifier hosted right on www.barpokeropen.com. First place prize in this event even wins a Full Vegas Package worth $1,000+ as well as entry into both the East Coast $100K, and the Vegas $200K. Online Seat winners can chose whether they want to use the seat for AC in October or Vegas in Summer 2019. Seats are also given away to the $100,000 East Coast Championship at every Charity Event we host from July - October. Just one single win at any one of our charity events, and you can play for $100,000 in December for only the $35 dealer fee. Effective this season, any "multiple wins" will be only for the BPO Masters. Players cannot win more than a single seat into the $100,000 Championship. Win a PACKAGE FOR FREE in TWO STEPS with EPT TRAVEL SATELLITES! Starting August 12, we will be giving out free tickets into our $30 Bar Poker Open Travel Satellites that will be held every Saturday, Starting August 18th to anyone that finishes in the Top 10% that night.